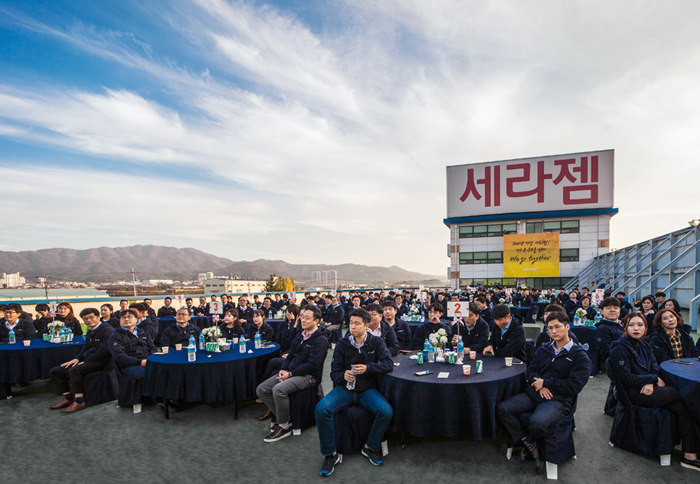 Ceragem, a global health care specialist, successfully completed the ceremony celebrating its 20th anniversary on October 25th at the head office of Ceragem in Cheonan with about 200 officers, employees, and guests in attendance, as well as Chairman Lee Hwan-seong. The ceremony was held in two sessions. The director of Management Support Headquarters opened the first session by summarizing the history of Ceragem. Then, the participants watched a video celebrating the 20th anniversary. Next, the chairman Lee Hwan-seong offered the commemorative address and the Chief President Kim Sang-sik delivered the congratulatory address. Lastly, the Achievement Awards were presented. 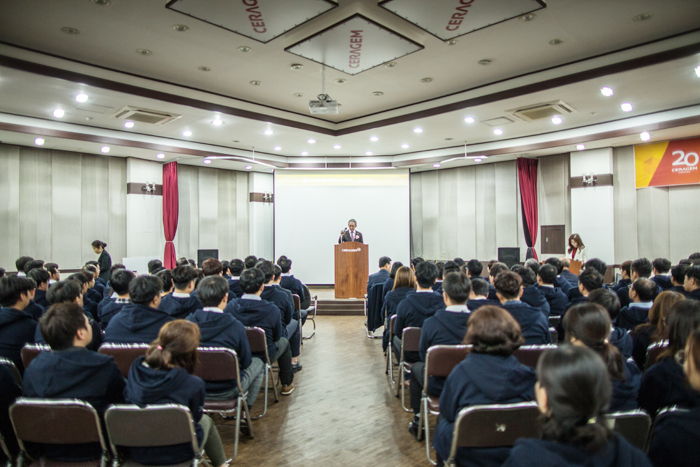 Ceragem presented the Achievement Prize, recognizing the distinguished service of operators abroad as well as in Korea, who accomplished exemplary management results, and the Citation for Good Employees to the employees who obtained excellent results in business performance and personal evaluation. Furthermore, the sponsorship agreement, making a monetary donation every month to Korea Scoliosis Association, and a donation of Ceragem Master V3 and Youridm to the Spine Therapy Centers of Korea Scoliosis Association, were completed at the ceremony, leading to a more meaningful 20thanniversary. The second session started with the program `One Mind of Ceragem`. All officers and employees were of one mind, and this was accomplished through emotional recreation, an outdoor barbecue party, and a prize drawing. As all officers and employees shouted the group slogan “Centennial Enterprise Ceregem! We Go Together for Higher Goals!”, the ceremony ended with a magnificent fireworks display as the grand finale. Entering the global markets at the same time as its establishment in 1998, Ceragem is a global health care specialist, operating about 2,500 centers in approximately 70 countries, including the USA, China and India. `Ceragem Master V3`, the staple product, acquired the approval from the FDA (US Food and Drug Administration), and has been listed as a `World-Class Korean Product` for 16 consecutive years in the personal thermal massager category, and inscribed on the `World Class 300`list, allowing Ceragem to position itself as the leader in the global market. Meanwhile, Ceragem has been endeavoring to diversity distribution channels enabling customers to experience the medical appliance at home, including a rental promotion. `Ceragem Master V3`, the thermal spinal massager, has also been featured on a TV home shopping channel.